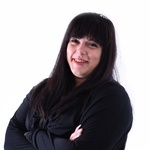 I'm Petya, a UK-based (Chelmsford, Essex) PPC expert with 7 years of hands-on experience with Google Ads and Bing Ads account management. 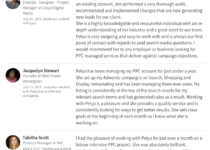 I have a proven track record in...Read moreI'm Petya, a UK-based (Chelmsford, Essex) PPC expert with 7 years of hands-on experience with Google Ads and Bing Ads account management. I have a proven track record in creating and managing successful campaigns for customers in a variety of b2c and b2b businesses within the UK, USA and Australia. My clients are mainly SEM agencies managing client accounts with budgets from £500 per month to £150k per month for both e-commerce and lead generation. I work remotely within working hours 9am-5pm Monday till Friday. What can I do to assist you? I’m available to work on an hourly basis either remotely or from your offices (location permitting). I manage the accounts assigned to me on a monthly basis and send an invoice at the end of each calendar month for any work done. For your existing PPC campaigns I’m happy to review your accounts for free and determine whether it could be improved and managed more effectively. This would also give you an idea of what I can do for you. 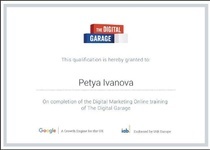 For more information about me please have a look my LinkedIn profile http://www.linkedin.com/in/petyayildizgoren (or search my name Petya Yildizgoren on LinkedIn) or contact me with any questions. Please also find clients' testimonials on my LinkedIn page. First class communication. Starting to see results from Petya's work. Produced a clear action plan with a report to show results from action plan. 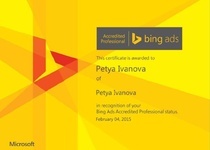 Very impressed with service I received from Petya. Would definitely recommend her.